So anyway. I’ve saw it everywhere, from Martha Stewart to Goop to Food Pleasure Health and of course, Yum Universe and One Part Plant. One of my reasons for being so wary of kale was the fact that I just couldn’t find it easily in Mumbai. But in Pune, you do find it at the market. I finally ordered it after signing up with Green Tokri, they grow the pebbly lacinato variety. I love the deep green hue and how it turns almost jewel-toned sauteed in olive oil. I love separating the leaves from the stalks, like this, in one fluid motion. I love massaging kale with olive oil for a salad. So yes. I’m late to the party, but now, I realllyreally love kale, to the point where it is probably getting nauseating for my friends who hear me go on and on about it on social media. 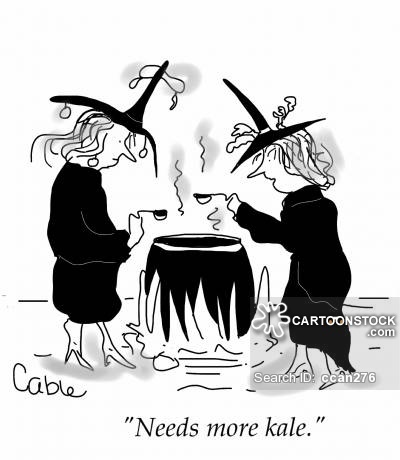 I am turning into that annoying person, who waxes eloquent about kale. Who has suddenly discovered #cleaneating and hashtags it all the time. Who puts her green juice in a green cup with a green straw. (True story.) I have turned into the woman who is so smitten with kale, you want to throw a bag of Doritos at her and say STFU, we get it. Now go chew on something else. I have fallen into the kale abyss, and it’s leafy cushiony goodness means I’m not going to stop publicizing my love any time soon. 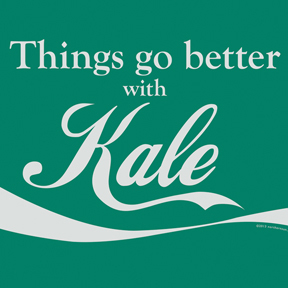 Self-deprecation aside, kale is packed with nutrients and is really good for you, so if you can get your hands on it, give it a try. It’s versatile and can be added to pretty much anything, from salad to soup to pasta, but I really enjoy it as a one-pot meal, with a grain, a protein and some seasoning. Unlike spinach, which wilts and softens easily, lacinato kale has more body and can hold up better, with a pleasant chew or crunch, depending on how long you sautee it. This one is an easy recipe, and if you’d like to add more bulk to it, you could top it with a fried egg or some chicken or tuna. Heat the oil in a skillet. Add the garlic and allow it to soften. 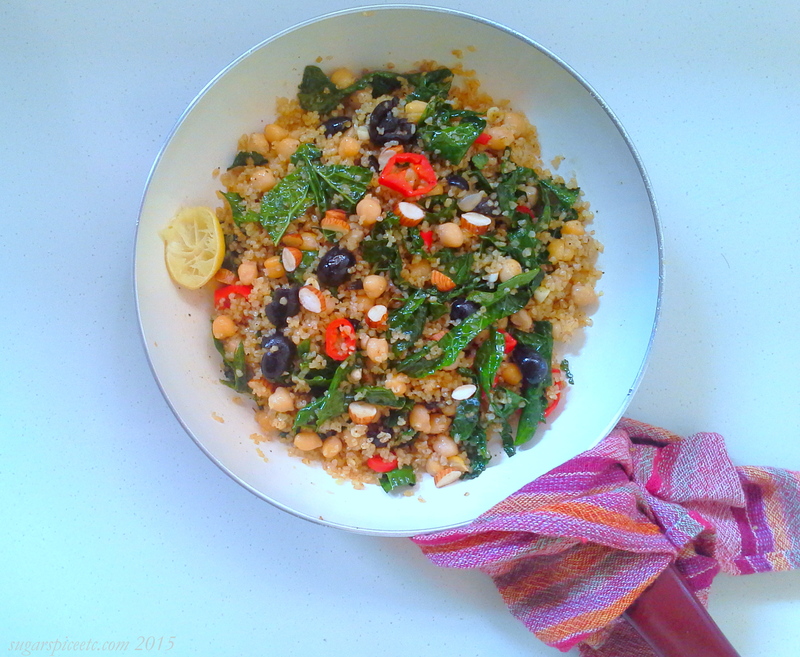 Throw in the bulgur and stir till well-coated, then add the kale and sautee for about two minutes. Add the cooked chickpeas, chilli, olives, salt and pepper, and stir-fry for a few minutes until the kale softens and crisps up a little. Garnish with the raw almonds, squeeze some lime over, and you’re done!